Mari Yamaguchi is Associate Manager for Genesys Global Customer Experience Design and NPS. She has spent over a decade in the communications field, including as an award-winning broadcast journalist. Her focus areas included audience development for local network television stations and in designing programs/initiatives using constituent voices as communications lead for the former Mayor of Indianapolis. 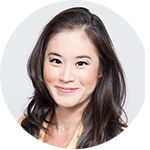 Fluent in Spanish and Japanese, Mari believes that effective communications, where one is willing to listen and create dialogue and rapport, is a building block of creating exceptional experiences. Mari draws much of her inspiration, philosophy, and practice of customer experience from her Japanese culture/heritage.